Here you can find tickets to many attractions, sights and other experiences in London! There's something for everyone! How about a visit to the top tourist attractions such as Madame Tussauds, London Dungeon, London Aquarium or ZSL London Zoo. Or explore the historical parts of London with a visit to the Tower of London, St Paul's Cathedral or Buckingham Palace! Enjoy the View from The Shard or The London Eye or be fascinated by the Legoland Windsor exhibits? 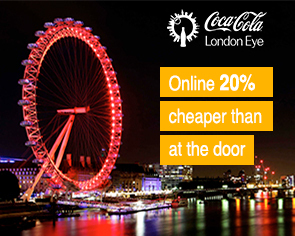 Book Your London Experience here LondonTickets.ie !